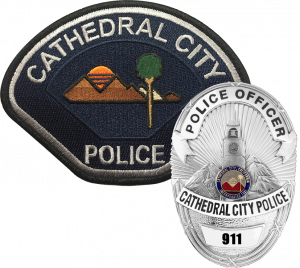 The Cathedral City Police Department Special Weapons and Tactics Team (SWAT) was established in 1997 after combining resources with Palm Springs Police Department SWAT to form a consolidated SWAT team. After several years of successfully working together with Palm Springs Police Department the Indio Police Department joined the team to form Desert Regional SWAT. Desert Regional SWAT provides specialized police services to the communities of Cathedral City, Palm Springs and Indio. 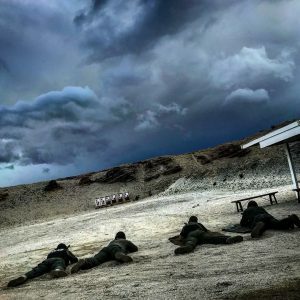 Desert Regional SWAT is available to respond and resolve various highly volatile incidents such as barricaded suspect(s), hostage situations, active shooter situations, dignitary/site protection, and numerous high-risk or hazardous situations. The primary mission of the SWAT team is to save lives by resolving difficult police situations through the use of developed skills, tactics and specialized equipment/capabilities. 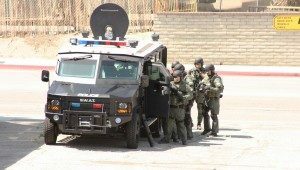 The SWAT team is comprised of highly trained police officers who have undergone intensive specialized training in the use of numerous specialized weapons systems and specialized equipment. Each SWAT officer is highly trained to assume a variety of responsibilities within the team with a high degree of expertise and proficiency. Membership on the SWAT team is a collateral assignment and strictly voluntary. All SWAT Team members have primary duty assignments in Patrol, Traffic, and Investigations. Desert Regional SWAT is not only made up Tactical Team Members but also incorporates additional personnel assigned to Tactical Emergency Medical Services, Crisis Negotiators, and Tactical Dispatchers. Commander Julio Luna is currently the SWAT Team Commander and can be reached by email or phone at 760-770-0315.